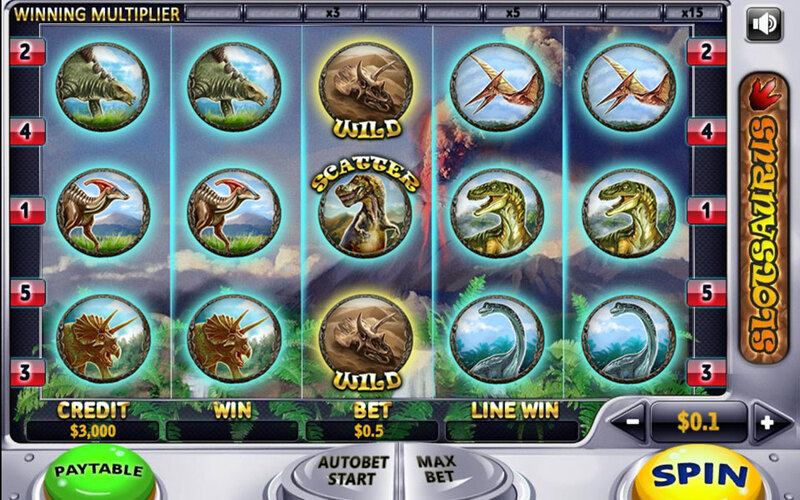 Travel Back in Time 64 Million Years! To an age where you either eating the dinner or you are the dinner. This game has 5 winning lines which you can play both right to left and left to right. 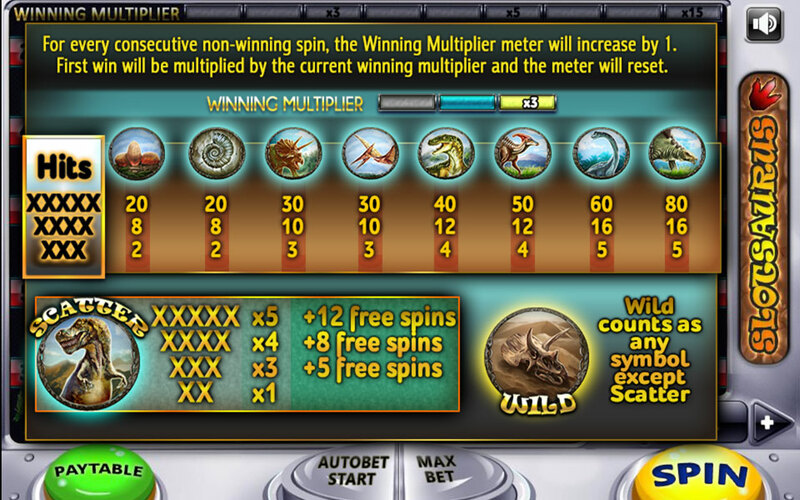 Also, introducing the winning multiplier – this amazing feature basically says, even if you are not winning right now – you are on your way. It will multiply your first win after every non-win round up to 15 times!! Last but not least is the Scatter bonus - By receiving 2 scatters, you will receive your bet back, by receiving 3 or more will grant you up to 12 free spins!